The new Britax Multi-Tech III Car Seat is the newcomer from Britax, taking over where the popular Multi-Tech II left off. 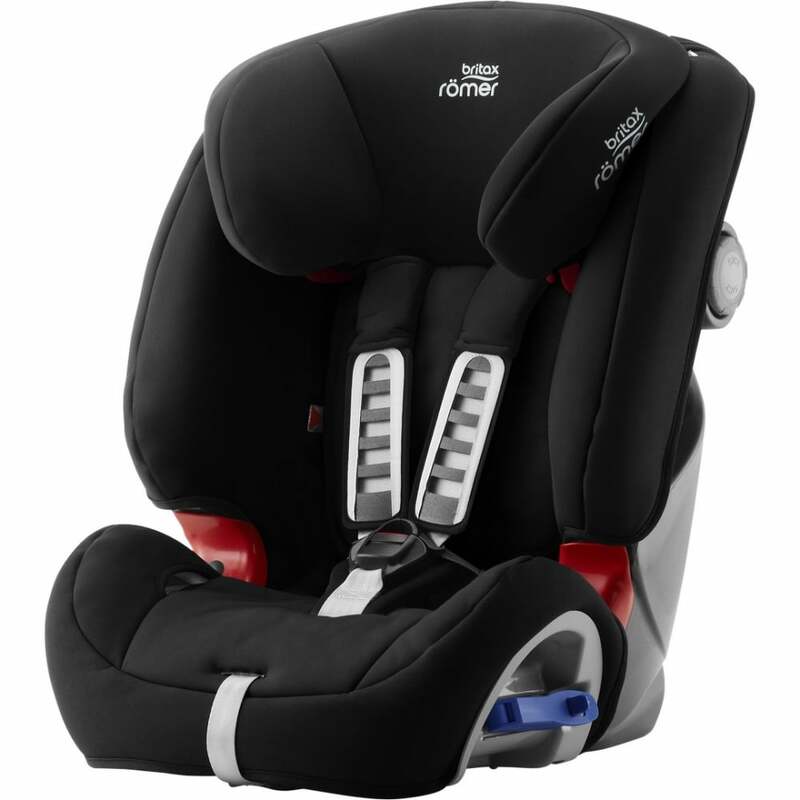 This is a versatile, front and rear facing car seat for children between 9 and 25kg. With a rearward facing option for older children, it also has excellent side impact protection (SICT) and installation checking indicators for total safety reassurance. Who is the new Britax Multi-Tech III Car Seat suitable for? The new Britax Multi-Tech III Car Seat suits little travellers between 9 months to 6 years of age - who weigh roughly 9 to 25kg. If you travel with more than one child then this car seat is suitable for you. Thanks to the easily adaptable headrest and harness you can, with one hand, change the fit of both to suit whoever is travelling with you without hassle. Knowing how snacks and drinks play an important part in your child's enjoyment during travel, this car seat's padded cover easily comes off for a quick rinse in the washing machine. Why choose the new Britax Multi-Tech III Car Seat? The Britax Multi-Tech III Car Seat is worth considering if you would like the option of front or rear facing travel for your little one(s). As the Multi-Tech III Car Seat seat provides safer, rear facing travel with more protective area to sit in until your child is older, if there is a collision from the front your little'un is less likely to be injured. The size of the seat can be altered as your child grows, both in height and width, providing a snug fit at all times plus value for money. The Multi-Tech' III's inbuilt footrest and lower tethers make sure the seat is super stable when installed in a rearward facing position. Designed to meet parents' needs for their little nipper in the car, the Britax Multi-Tech III also includes excellent safety should you be involved in a collision from the side. The Superior Side Impact Technology means this Group1/2 car seat has well cushioned panels close to the sides of your child's head right down to where they are seated - so you can rest assured they are not only comfy but safe and secure as well. For everyday comfort and secure positioning in the seat, the Multi-Tech III has well cushioned but sturdy chest shields which come from over the shoulder to help keep your little one's neck nicely protected. The added benefit in a collision would be to diffuse the impact through these pads, evenly across the front of the body. The 5-point harness keeps your child in position and ensures the force of any collision is spread between the shoulders, hips and at the seat. How do I install my new Britax Multi-Tech III car seat? The delight with the installation of your Britax Multi-Tech III is in your choice of having front or rearward facing passengers and the ease of change between the two. If facing to the rear, use the vehicle's custom designed 3-point seat belt which is especially convenient if the car seat is going to be moved between cars on a regular basis. The indicator guides on the car seat help you to install the seat properly, including the use of the support leg and lower tethers for stability. The Britax Fit Finder® can be used to check the seat's compatibility with your car. The flexibility of installing the car seat using the car's in-built 3-point seat belt is a real bonus if the car does not have an ISOFIX. The car's individual owner's manual will advise the best positions for forward-facing seating. Do I get a Manufacturer's warranty for the new Britax Multi-Tech III? Yes, you receive a 2 year manufacturer's warranty against manufacturing or material defects (excludes polystyrene inserts) which applies in the UK mainland. What are the specifications of the new Britax Multi-Tech III Car Seat? ...giving comfort, safety and value for money. The support leg and lower tethers add stability. Your Review - Very secure, stable car seat, currently using rearward facing and LO is very comfortable. It was one of the only car seats that would fit in my car without causing buckle crunch so saved me having to buy a new car!